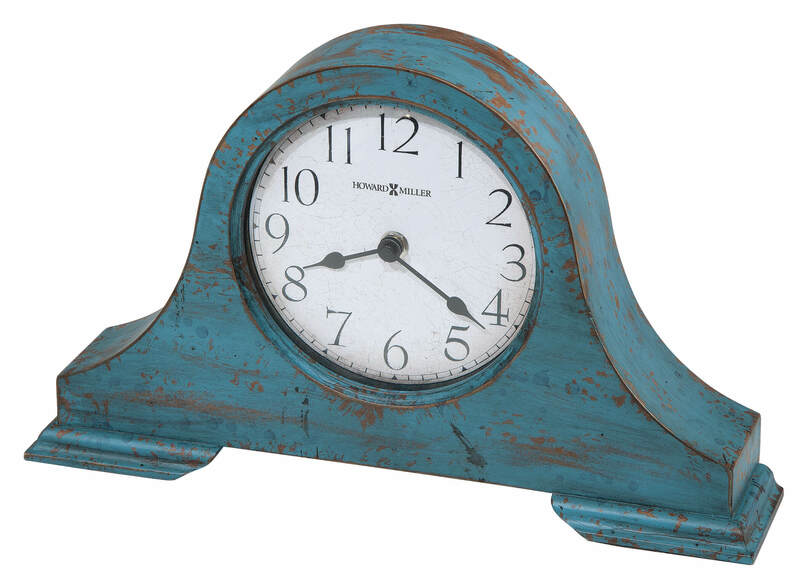 This mantel clock features a classic tambour style case with a worn teal blue finish. A convex glass crystal showcases an aged dial with aged and worn Arabic numerals and black spade hands. Felt bottom protects the table or desktop surface. You will save $32.25 (30 %) on this Howard Miller Tamson 635-181.